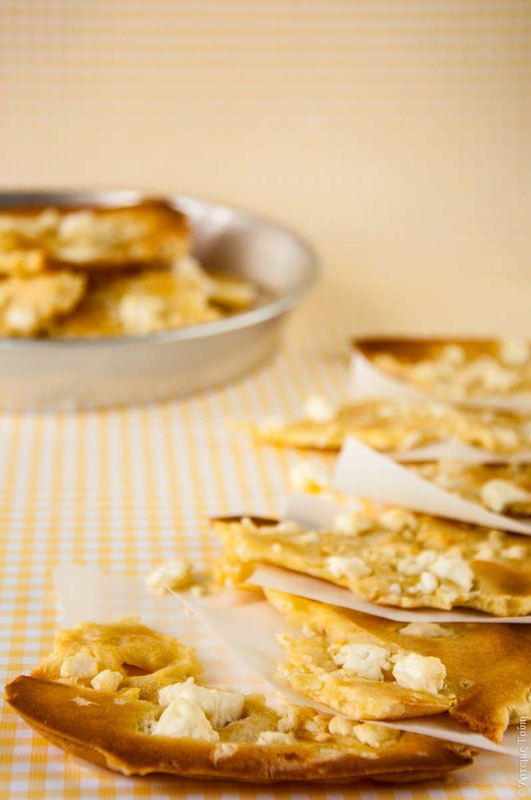 Zita’s virtual baby shower: Kasopita or let me treat you an easy, traditional greek cheesepie! I met her almost 2 years ago. Zita: where are you from? And conversation just went on and on! Today, we ‘re keeping our online communication still alive, not only with Zita from Hungary but with many more food bloggers from all over the world: Italy, Belgium, Germany, England, Holland to refer only to a few. I could never imagine that a 3 day meeting with food lovers would result to a non stop long time relationship! I love our common passion for good and tasty food, love of all the nice things on earth, life, photography, styling, writing, communicating with people! 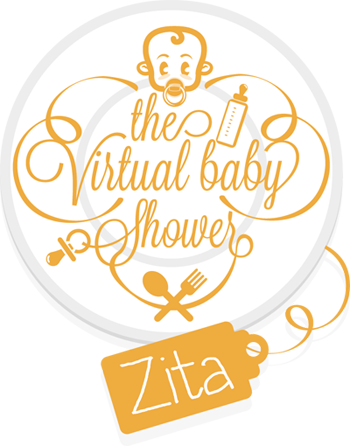 And I love actions like these, where we’re devoting a vegetarian/vegan recipe for Zita and her newborn baby! And I’m wishing you, with all my heart, Zita, your new, wonderful member of your family, will lead you to more creative paths of your passion for food and life! Preheat the oven at 350 F (180 C). In a big bowl mix flour, water, eggs and salt with a spoon until you get a smooth and runny mixture. Don’t pour all the water at once. Grease a baking pan and pour the mixture in. Spread it with the back of the spoon all over to get a thin layer. Sprinkle all over the mixture small pieces of butter and feta cheese too. Put the pan into the oven and bake for about 20′ or until it gets gold. 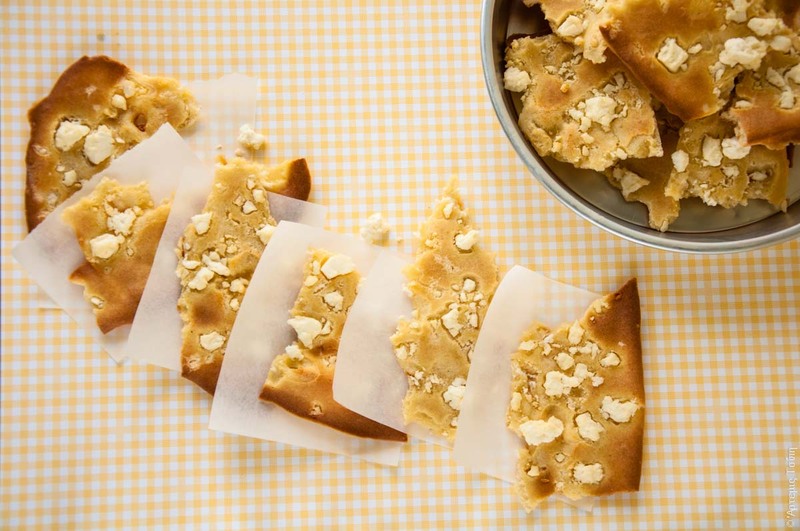 It’s thin, crispy, tasty and full of flavours. Cut it with your hands in different shapes and enjoy hot with a nice glass of white wine. perfect and on my menu today!! I cherish having met you all together at FBC! This looks gorgeous darling, oh would it not be amazing if we had all this food on a table?! FBC brought us all together! It would be -that’s for sure! Lovely! 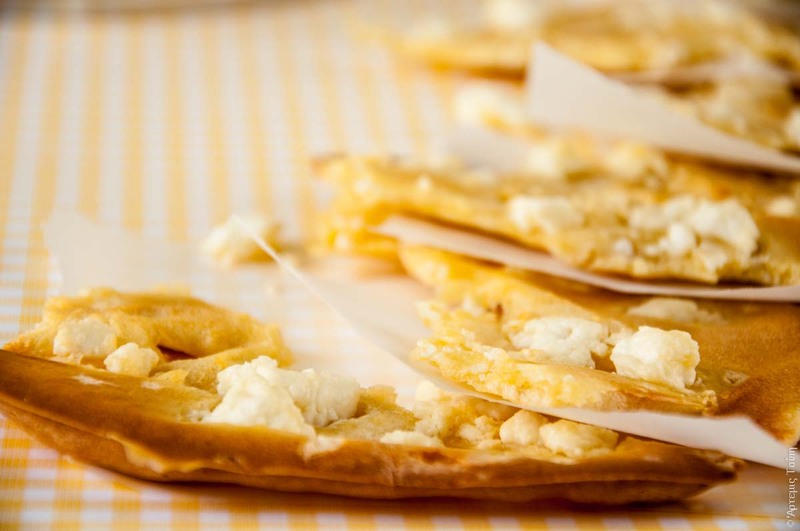 The traditonal cheese pie from Epirus – what a glorious name! 🙂 Reminds me of home too! hello Artemis I tried making this dish but think my pan is too big? I got a 16″ diameter round baking (cake) pan, aluminum. What pan do you usually use? and size? I used a 40×30 cm baking pan. If your pan is larger, spread the mixture to about these dimensions -it’s not runny so you can stop it to the point you want. If your pan is smaller, then the pie will be thicker and will not have that crispy result of the traditional pie of that kind. Hope, I’m helpful! !